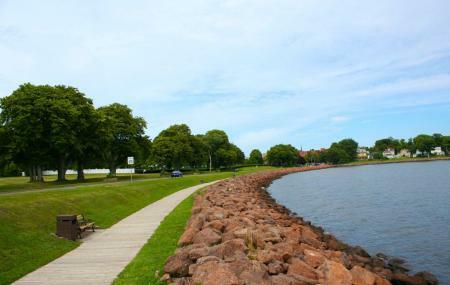 Victoria Park is a wonderful green, shaded park with lots of activities and brilliant views of the harbor. Full of wooded walking trails , the park is perhaps the most peaceful place in the town. Other amenities here include tennis courts, swimming pools, children’s playground and jogging tracks. Full of seasonal flowering trees, the park is transformed into a wonderland in bloom time. The park is also a great destination for picnics and activities like geocaching. How popular is Victoria Park? People normally club together Fanning Bank and Red Shores Racetrack And Casino while planning their visit to Victoria Park. Great place with new tennis courts. A sporting facility inside a well maintained provincial park.